Discussion in 'GPS Tracks - Central, Texas & Gulf States' started by Cannonshot, Jun 11, 2013. 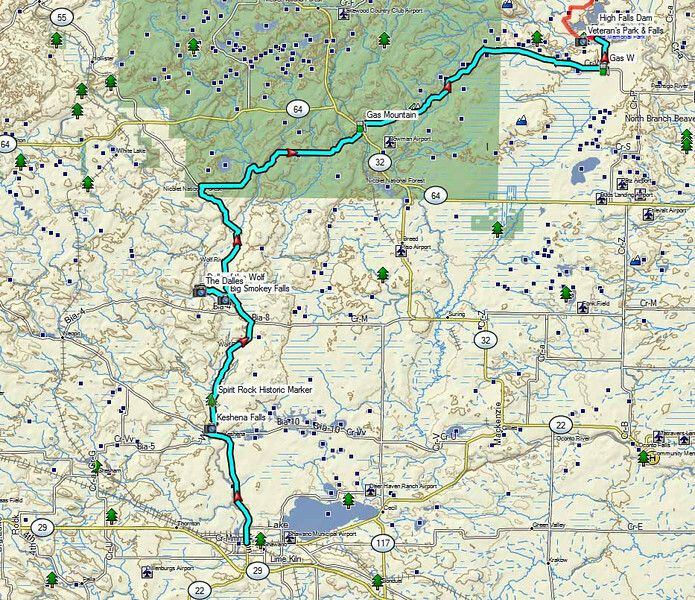 This is a 300 mile linear ride that takes in scenic waterfalls along the Wolf River, Marinette County, and Florence County. It varies from excellent winding pavement to rugged two tracks. I scouted and rode it on a Super Tenere so it is suitable for big adventure bikes. I would have really enjoyed much of this on a small-medium dual sport as some of the gravel and dirt can be sporty. Plenty of gas marked out along the route. This would be a nice overnighter. Plenty of camping in the region - some right along the rivers you visit. 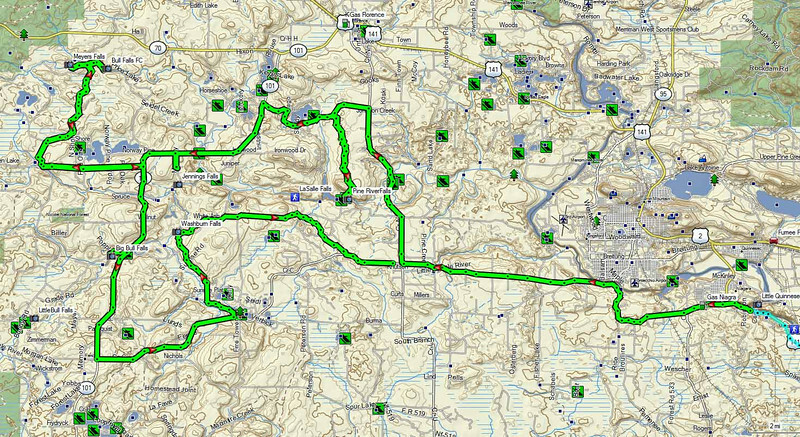 Wolf River Segment - 65 miles. 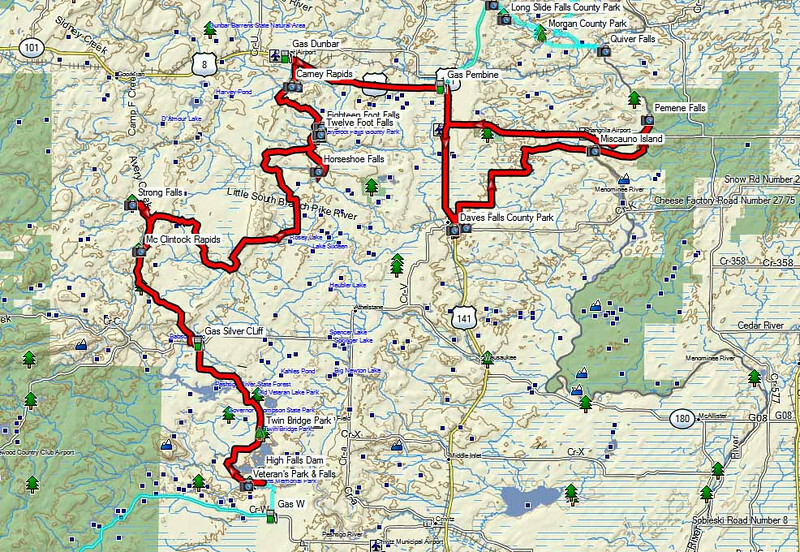 Marinette County South - 115 miles. 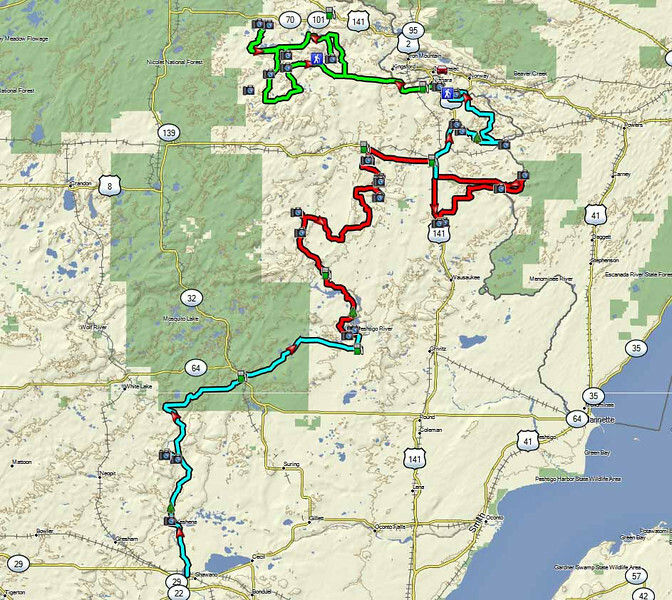 Marinette County North - 39 miles. Florence County Segment - 80 miles. 12,199 views from previous thread. If you've still got the patience for another question - we'll also be riding thru the UP next week, from the Shipwreck museum West, up to Copper Harbor, thru Duluth, and up to the Gunflint Trail. 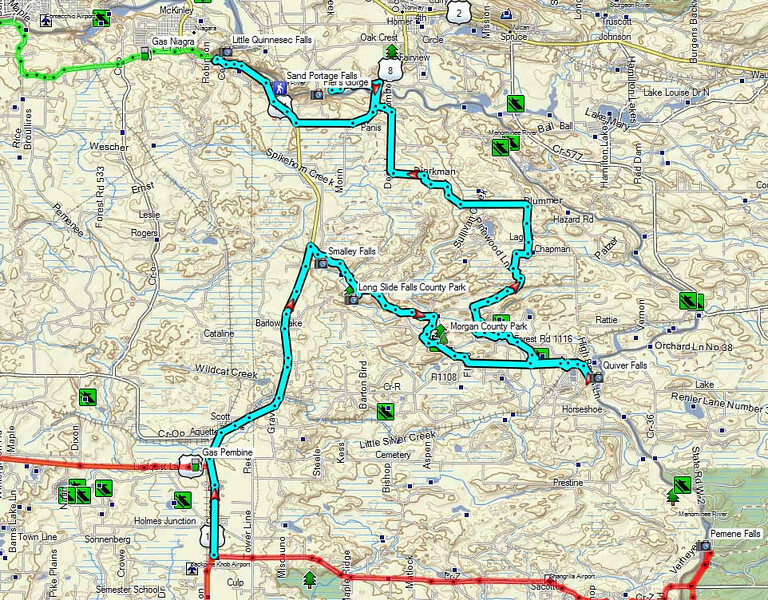 The 4 day route you prepared earlier this year for the two guys looks great, but a little tuff for my noob skills on a big bike. Any recommendations on roads/routes along the south shore of Superior that aren't too sandy? Most of what I see on the east side looks so disconnected, I'm worried its really sandy. Again, thanks for all the info you've already posted. The 2 routes in NW IL are great fun. You won't have any problem on this route. There is a little sand going out to Quiver Falls but it is a short section. If you run into soft gravel or sand, just take it easy and you'll be fine. There are no long soft stretches on this route. Regarding the UP travel, if you stick to the big bike route for the UPAT you will be fine. Again, you may encounter a short piece of sand, but nothing too difficult. Thank you very much Cannonshot. I'll give you an update after our ride next week.